Khasab Sea Tours is a well-known tourism company in Musandam Oman. We are specialized in exclusive and attractive Khasab Musandam Dhow Cruise Deals. We offer you most versatile and comprehensive Khasab tour packages that make you enjoy the serene beauty. Whether you are looking for the famous Khasab Dhow Cruise, Musandam Overnight Dhow Cruise, Khasab Beach Camping or Mountain Safari, we promise to provide you quality services. We arrange Khasab tours packages all year round and provide you platform to explore Musandam Oman and its surroundings. Khasab Sea Tours have tailored made Khasab Musandam Dhow Cruise & Tour Packages that include different selections of amenities, take you away from busy city life routines into the calm and beautiful Khasab Oman. 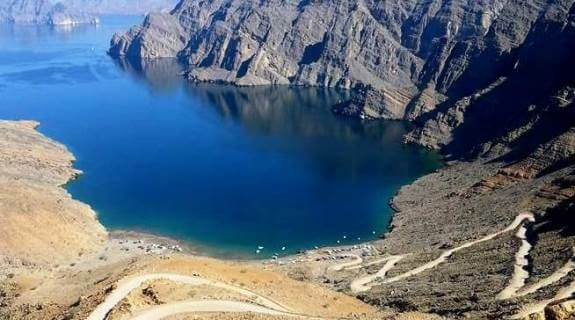 The natural beauty of Musandam region attracts thousands of visitors every year. 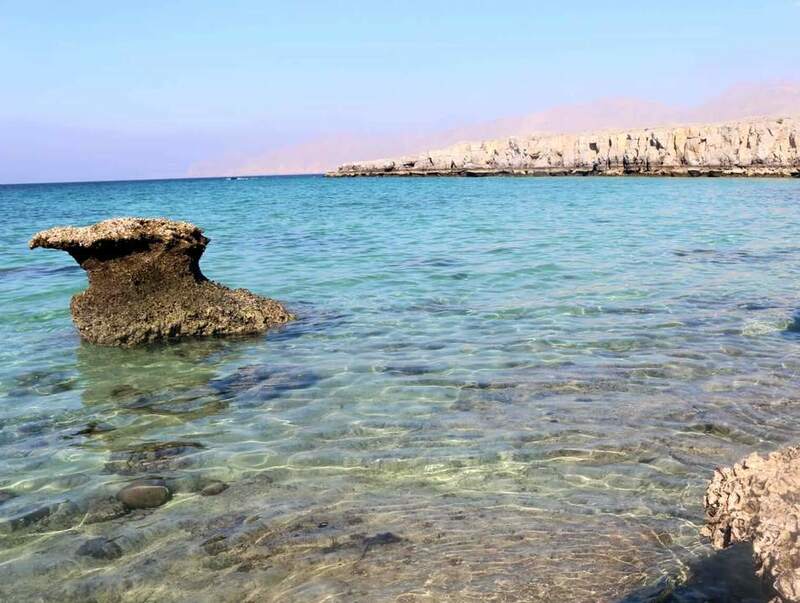 You fall in love with the calmness and quietness of Khasab Oman. Our clients based from all over the world recommend us as best Khasab tours providers. We have affordable Khasab tour packages from Dubai with optional Dubai to Khasab Transport. Khasab Dhow Cruise into the beautiful sheltered mighty Fjords of Musandam provide an excellent exploration opportunity away from the busy city lives. Narrow cliffs connect these Musandam fjords with the mainland and are created by fragmented rocks stretching their claw-like formation right into the sea and the huge overshadowing cliffs. The beautiful reflection of the towering cliffs in the clear turquoise waters is a breathtaking sight on its own. Enjoy amazing adventure on our luxurious Khasab Musandam dhow cruise sailing towards remote locations and even those breathtaking fjords. Our traditional Omani Dhow boats take you to an adventurous expedition through the mighty Oman fjords. The comfortably decorated Khasab Dhow Cruise with carpets and cushions provide you every opportunity to relax and enjoy the calm and breathtaking views of the lovely surroundings. Our Khasab Dhow Cruise also takes you to the traditional villages in the heart of the mountains and also the picturesque beauty of Khourshem fjords. Shem, Qanaha, Nadifi and Maqlab are few traditional fisherman villages. You might catch the breathtaking Dolphin Acrobatic display right in their usual places of occurrence. We ensure competitive Khasab Tours prices. Experience once in a lifetime travel adventures and enjoy some adventures things to do in Khasab, Khasab dhow cruise deals, Dolphin watch, Mountain safari as well Musandam overnight deals. KST with help of professional tour operators offers bunch of Khasab tour packages for the visitors across the world. For the last 15 years we do everything in our power to provide 100% satisfaction guarantee to our customers. 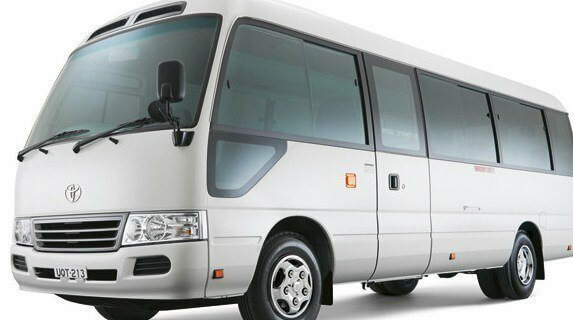 We are globally trusted entity takes care of complete travel requirements of its esteemed clients. Thousands of our clients have enjoyed great Khasab tour deals. Client’s positive feedback has made us one of the most reliable travel agency. Book your Khasab Musandam Tour Packages and explore the natural beauty of the region. Enjoy trip to the astonishing sights and warm sunshine that you will remember for a long time. All year round we offer discounted rate Khasab tour packages and dhow cruise deals on occasions like EID holidays, Oman National Day, UAE National Day, New Year’s Eve, Christmas Day or Easter Holidays are all focused on by our superior tourism offers. Musandam is one of the most beautiful natural places around the world. The Musandam, Oman territory is highly regarded as a true holiday goer’s paradise. Khasab is a famous tourist location in the Musandam Peninsula and is dubbed as the Norway of Arabia for its stunning views and natural landscapes. It is a true beautiful part of the world and you will definitely have a time that you will remember for a long time in Musandam, Oman. The exciting tour packages include Half Day and Full Day Khasab Dhow Cruise to Khourshem Fjords can be enjoyed on a Shared Dhow or Private Boat Trip option depending on your preference. Family Holidays, birthday parties, anniversaries, New Year’s parties and all other social gatherings are appreciated at Khasab Sea Tours. 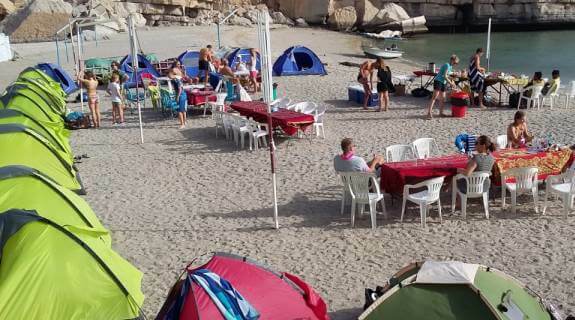 Musandam Dhow Cruise Overnight Stay under the sky full of stars, great sandy beaches locations for beach camping and the mountain safari option takes you right to the heights of Jebel Herim and Khor Najd. A boat trip to Kumzar Village is also included as well you can explore the traditions and customs of the region with a Khasab City Tour. Fishing enthusiasts can enjoy Musandam Fishing Trip on our speedboat or dhow with include basic gears (hand lines and baits). We have offers for Three & four star hotel and resort bookings. You can join us for an amazing warm and calm holiday trips from Dubai with our optional transport services. Quick Contact: Call & Whats-App 00968-92009440. Khasab Sea Tours is a professional & reliable tour agency based in Musandam Oman. We have been in this industry for a long time and recognized as the best tour operators. We served thousands of happy clients and we keep improving our services to provide you the most luxurious comfort that you deserve. Having served the Oman tourism industry for well over a decade, we developed strong business relationships with hotels and other suppliers in region enables us to offer you best deals and availability of tours in the period of peak demand. Book your Khasab Tour Packages an enjoy mesmerizing sights that you will remember for a long time. Cruise Ships to Oman: we built our awesome reputation on providing quality services to attract visitors from all over the world. 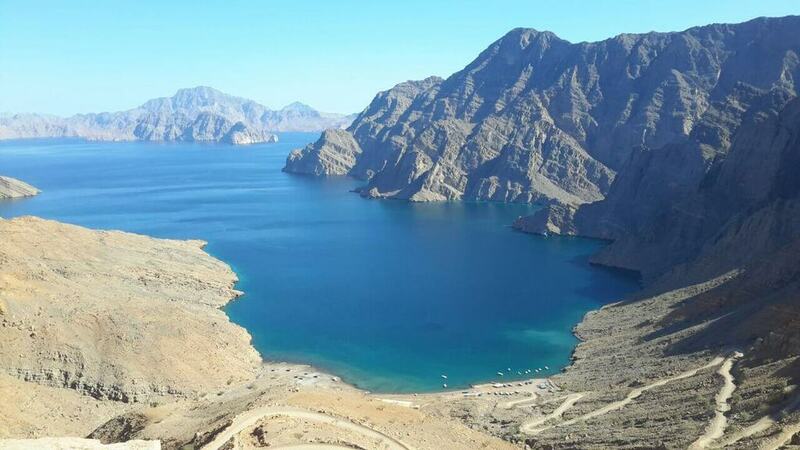 The breathtaking Musandam peninsula is a dream destination for Cruise Ship Visitors from Muscat, Dubai or Abu Dhabi. Khasab Oman presents a great opportunity to explore the breathtaking natural beauty. We offer multiple Khasab tours for cruise ship visitors in Oman. Half Day/ Full Day Khasab Dhow Cruise are the most popular tour packages among the ship visitors. Day trip includes astonishing sightseeing of beautiful fjords, Dolphin watch, swimming and snorkeling and refreshments on board. Khasab Mountain Safari and City Tour packages customized to suit your exact preferences along the way. Our connection with famous cruise lines such as; MSC Cruises, Costa Cruises, Norwegian Star, Celebrity Cruises, Splendor of the Seas, TUI Cruises and other cruises dock at Khasab port. Free transfers from port to our dhow cruise terminal include in tour prices. Probably the most basic option for dolphin watching in Musandam Peninsula is by the traditional Omani boats. We offer Khasab dhow cruise to some of the most spectacular sites in the region also known as "Norway of Arabia". Khasab dhow cruise takes you right into the heat of the usual dolphin watching sites. We will take you right where you want to be and boat deck is low enough for a great Dolphin watch. Khasab dhow boats are the right balance between comfort and maneuverability. Our boats are the lightest on water and specialize for long distance sailing. Make your journey memorable one with us, get the best vacation ideas and travel tips! Choose the option of share boat trip as well you can hire private boat. You can plan perfect trip for your family and friends with our discount price offers for Khasab Musandam dhow cruise. From start to finish this experience was brilliant. The crew worked really hard to make sure everyone enjoyed the wholes cruise. They served fresh fruit, an assortment of coffee, water, cans of pop and juice throughout the cruise. The whole team worked hard and treated all like family. We saw dolphins swimming free and had the opportunity to snorkel and swim for a short time. Well worth the trip. Excellent value for money. We enjoyed our half day dhow cruise trip in the fjords of Khasab. The scenery is fantastic. The tour operators included fruit and non-alcoholic beverages. We saw lots of dolphins and the boat captain explain some of the surrounding areas to us. 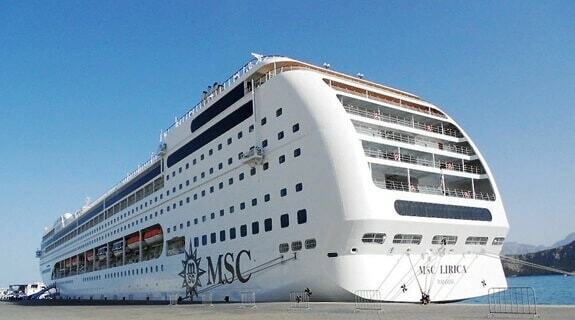 We were on a cruise and found this tour that was considerably cheaper than the one offered by the cruise line. We were met at the dock and there were no issues getting to the tour. Would definitely recommend! We booked a full day and overnight stay on a Dhow. The boat trip through the spectacular Musandam Fjords was very relaxing and the 2 crew made sure that we saw plenty of the wild dolphins in the area. The snorkeling site near Telegraph Island was the highlight for me as the beautiful warm sea was full of fish such as parrot fish, clown fish and many more. The boat was basic (particularly the toilet) but it was comfortable and the night sky was wonderful. Food was good and plentiful and the crew made sure we were well looked after. I'd thoroughly recommend the overnight trip. Highest quality Khasab Musandam Tours with traditional Dhow Cruise. 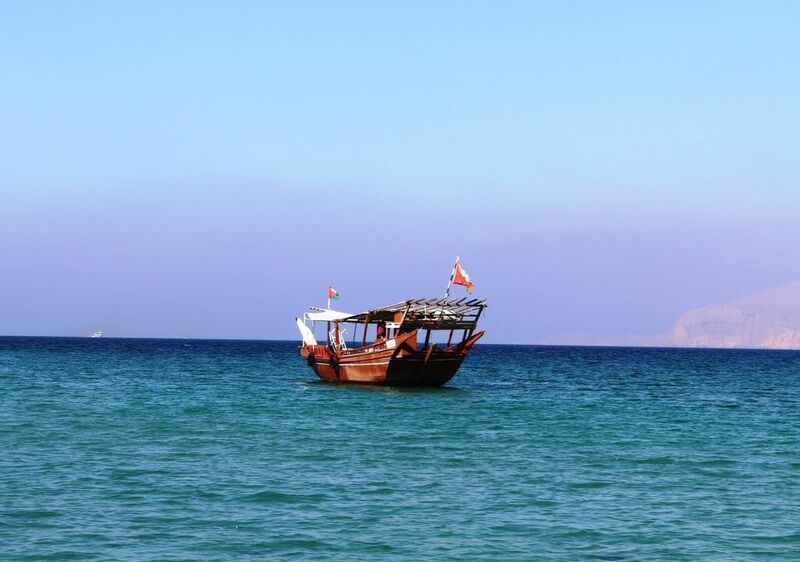 Dhow Cruise Tour in clear, calm and warm waters of Khasab, Musandam. Opportunities for swimming, snorkeling and sightseeing. Dolphin watching tours providing opportunity of a lifetime. 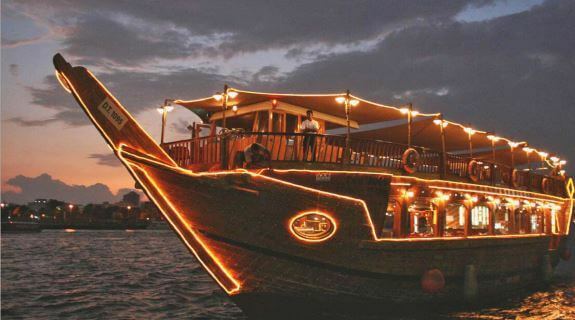 Spectacular Overnight Dhow Cruise Packages with delicious B.B.Q. dinner. Khasab Beach Camping under extraordinary starry sky. 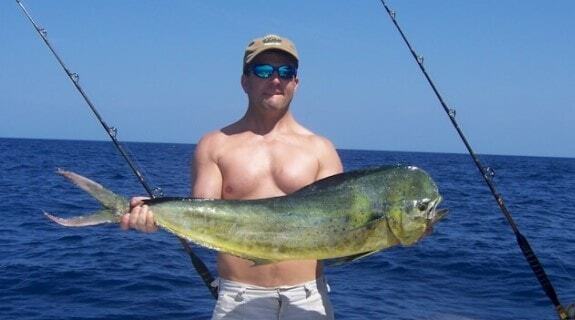 Great fishing spots if you are looking for fishing tours. Trip to Kumzar by speedboat. Adventures mountain safari trip & city tour. Khasab Sea Tours is your best place to get a Khasab, Musandam Tours. We are professional service providers who care for your satisfaction. Tailor your Khasab Musandam Tours to suit your preferences and we are ready to provide you our quality services. Khasab Sea Tours is a professional tourism agency and we have wide range of tour deals. Our team of professional tour operators makes sure that you have memorable time with us. We have best price Khasab Musandam dhow cruise & tour packages from Dubai.